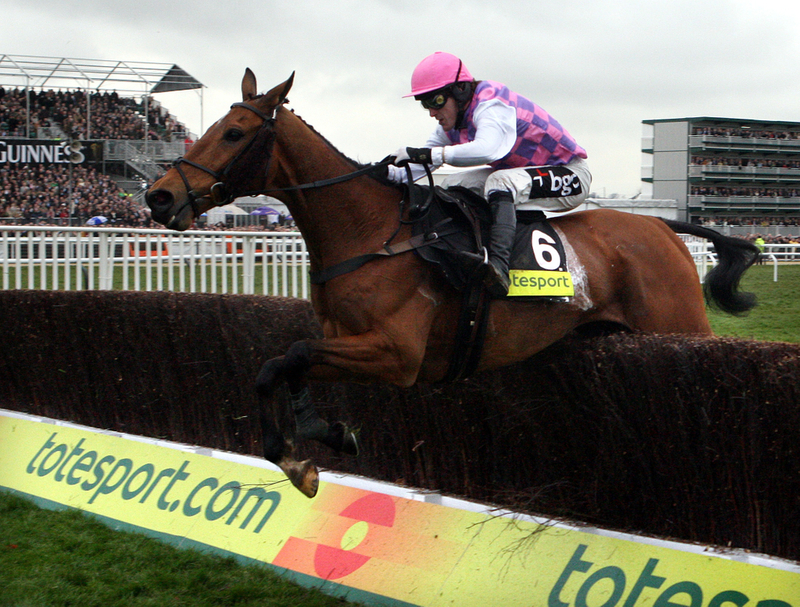 The race of Cheltenham's two day meeting starts with the Class 2 Citipost Novices' Hurdle over 2 miles 4 furlongs and in this contest we have gone for the Nicky Henderson trained Mill Green. This seven year old gelding has been in very consistent form this season with two wins and two places in his last five races that really does read well coming into this race. Last time out he finished a strong fourth in a big fielded EBF Final at Sandown behind some nice horses but one of the biggest things about this is that he loves good ground and he will get that on Wednesday. Dan Skelton is chasing down 200 winners for the season and is now in touching distance away from reaching that and we think his runner Rene's Girl is the pick of the bunch in this Grade 2 contest. This nine year old mare has been running to a decent standard in some good races for the last few seasons, the pick of the bunch being a good second last season at a Grade 1 at the Grand National meeting. This season she has been less impressive but got back to het old self when finishing second in a Listed event at Doncaster that sets the standard here and it looks like she has been saved since that run in December for this contest. The third race of the day at the home of jumps racing sees the Kingston Stud Handicap Hurdle over 2 miles 4 furlongs and we have gone for Le Patriote to land the spoils. This Dr Richard Newland trained seven year old looks to have a great chance in this contest off the back of his win at Ayr in the Scottish Champion Hurdle trial. He is stepping up in trip today but from the way he has run this season it suggests it will suit him and the fact the ground is good will also play to his strengths. Big chance at a nice price. The next race is a Class 3 Handicap Chase over 3 miles 1 furlong and in this hot contest we have gone with the Tom George trained Minella For Me. This nine year old gelding has ran to a really high standard since May not finishing outside of the top three in his last five races and is going in search of hat-trick on Wednesday after landing back to back races. In his last two runs he was stepped up to three miles where it has unlocked his true potential and with this good ground he will flourish again. He has gone up in the handicap but looks progressive enough to be able to cope with the rise. Coming towards the end of the card and for the Class 2 Handicap Hurdle over 3 miles we have two selections that we think will go well having both won at the track this season. Our first selection is Aaron Lad for trainer Dr Richard Newland and he will probably go off the bigger of the two picks but this eight year old won over course and distance on good ground in December and was not disgraced at the festival in the Pertemps final on not his favourite ground and holds every chance back at this Class. The second selection is the Ian Williams trained First Assignment and he is another runner who will appreciate the drop back to weaker company. He won twice here in the Autumn in really good style and if performing to the same standard should be able to get back to his best after making a nice start to the season. The penultimate race of the day sees the Class 2 Weatherite Handicap Chase over 3 miles 2 furlongs and in this contest we have gone for the Alan King's Dingo Dollar. This seven year old has been hit and miss this season showing glimpses of his true potential but ultimately he has been frustrating for connections. However, last time out he finished a good second in the Grimthorpe Handicap Chase at Doncaster and if improving from that run has every chance in this race. The final selection of the day comes in the Class 3 Handicap over 2 miles 1/2 furlong contest for amateur and conditional jockeys. In this hurdle race we have gone for the Kerry Lee trained Magic Dancer. This seven year old gelding looks to have a great chance in the lucky last tomorrow off the back of his form this season especially in his last two races where he has finished second twice. His latest outing saw him finish a very good second in the Grade 3 Betfair Hurdle behind Al Dancer and he also won this race last year which gives him obvious credentials.